AFL was pleased to support the Louvre’s fall 2017 exhibition with a major grant from funds contributed by International Council members. François I’s taste for Italian art is well known; his patronage is essentially identified with the creation of an Italian school at Fontainebleau, but his reign was equally marked by a vigorous tradition of Dutch artists settling in France. 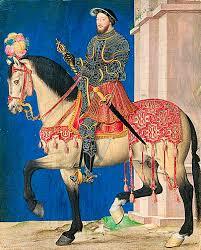 The king made extensive purchases of tapestries, gold and silver objets d’art, and Flemish paintings. A whole segment of the French Renaissance is now resurfacing; and this exhibition sets out to reveal its many and varied facets, its extravagance, and its monumental character.